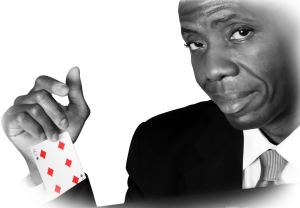 Hire Anthony Ware to entertain your guests during a private party hosted inside your home and your guests will talk about Mr. Ware’s amazing magic for a long, long time. When you hire professional magician Anthony Ware, he considers himself a paid guest vs. hired entertainment. He has years of experience performing at private (home) parties, mingling among party attendees performing amazing feats of magic and keeping the party lively and full of welcomed and memorable surprises. Whether you are hosting an intimate dinner party to family celebrations, Anthony Ware will have your guests laughing and enjoying themselves from the moment he enters the party!